In the diamonds market, there are substitutes for diamond that try to imitate its rare quality. In this article we will review two of the best substitutes for a diamond that exist in the diamond market in commercial quantities: The Moissanite and the Synthetic Diamond. Moissanite is considered to be an artificial stone which is closely resembling diamond, and difficult diamond substitute to identify. Moissanite is sold to wholesalers for $178 per carat, and is sold retail at $500-$800 per carat. It is popularly available in sizes ranging from 0.10 carats to 2.00 carats. Hardness – Moissanite’s hardness is 9.25; diamond’s is 10. This is a very small difference, can’t be identified by it. Specific Gravity – Moissanite’s specific gravity is 3.32; diamond’s is 3.52. Brilliance – Moissanite is less brilliant than diamond. Girdle Surface – In Moissanite, the girdle is frosted, polished or striated in appearance. Needles – Moissanite contains needle-like inclusions which are parallel to one another, sometimes in a very large amount. Flourescence – Moissanite is usually not fluorescent. When it is, it is usually an orange flourescence. Roentgen Rays (X-rays) – Diamonds are transparent to roentgen rays; Moissanites are not. Double Refraction – When Moissanite is viewed through the pavilion (in the position used to check for polish lines), the lines that connect the star-facets to the table look doubled. Natural diamonds develop deep in the ground in extreme conditions of heat and pressure. It is very difficult to recreate conditions like this in a laboratory. 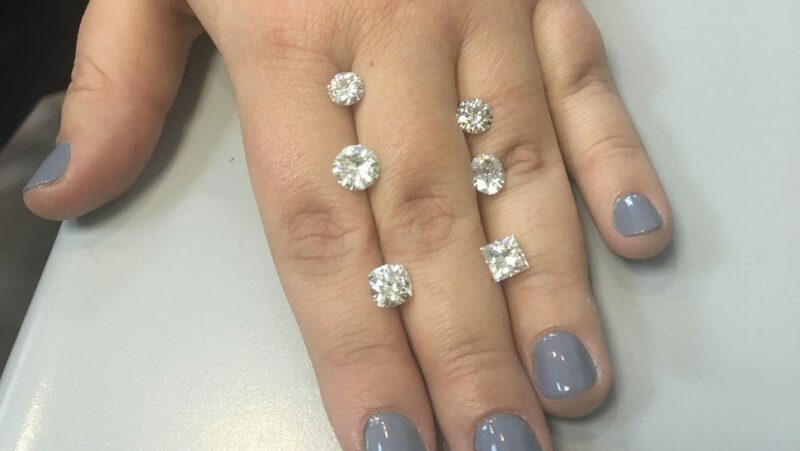 Today, there are 2 ways to grow synthetic diamonds; they are so similar to the natural diamonds that it is very difficult to see the difference between them. CVD (Chemical Vapor Disposition) is the chemical way to create a synthetic diamond. Hpht is a system that recreates the way the natural diamond develops. It uses a seed of a natural diamond as the basis for the artificial diamond. In order to differentiate between a natural diamond and an artificial one, you must use x rays in short waves device. In the diamonds congress no. 33, new rules were made. It was decided to call these diamonds: “Grown in a laboratory”, “Created in a laboratory”, Man-made”. Also, in order to prevent confusion between them, it was decided that in no way the synthetic diamonds would be called as “adapted” or “cultivated”. *This is a man made diamond and has been produced in a laboratory. It is becoming more common in some countries to use the synthetic diamond as a storage tank for the ashes of the dead people. Would you like to learn more about diamonds? 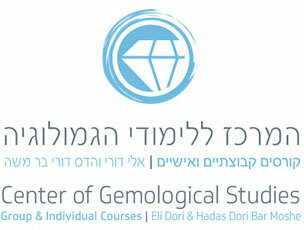 You can approach the Center of Gemological Studies and register to the most prestige, affluent and respected gemology course in the Israeli Diamond Center. Hadas Dori Bar Moshe also lectures about diamonds in her lecture: The Secrets of the Diamonds.